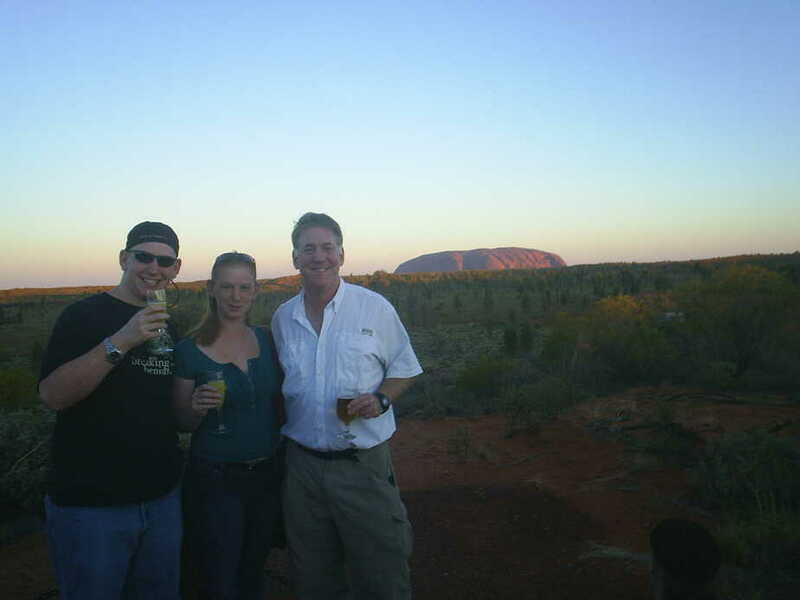 While this is David’s first time in Australia, I visited for three weeks back in August of 2007 – over 10 years ago! I thought it would be fun to show you some of my photos from my original trip. I was there with my dad and my brother. We stayed in hostels, forded rivers, went to an ice bar – I have tons of great memories from the trip. 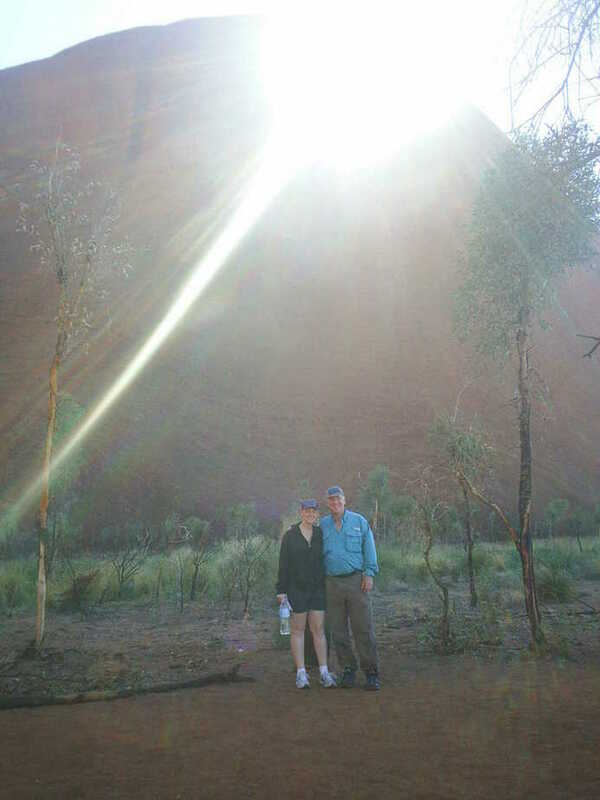 We flew into Sydney, and made stops in Uluru, Alice Springs, Cairns, and Darwin before flying out of Brisbane. 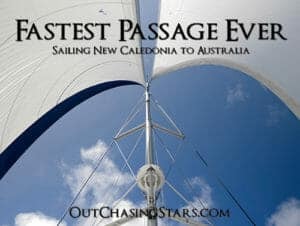 My memories may be a little faulty, and the photos may be a little terrible, but it’s fun to reminisce and I hope this gives you a sense of my first adventure in Australia, and you can see what has me excited about coming back. 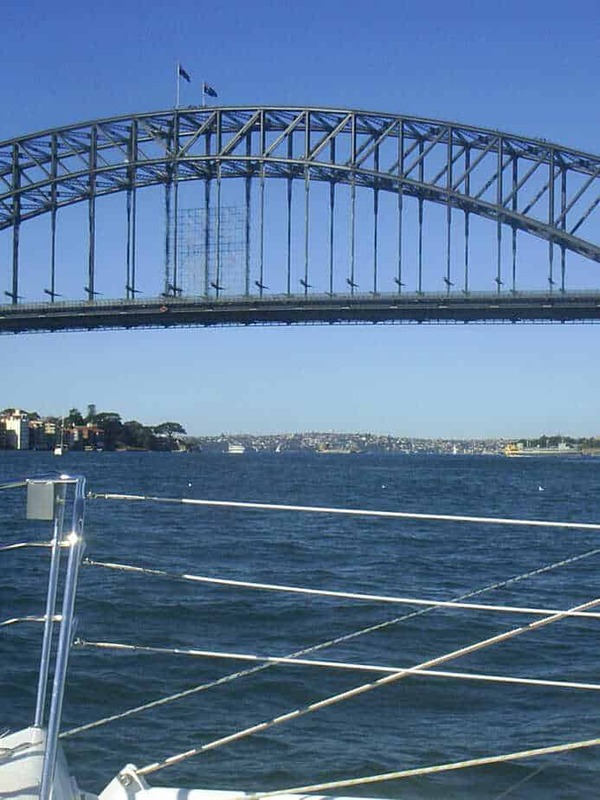 Apparently we went sailing under the Sydney bridge? I have no recollection of that. 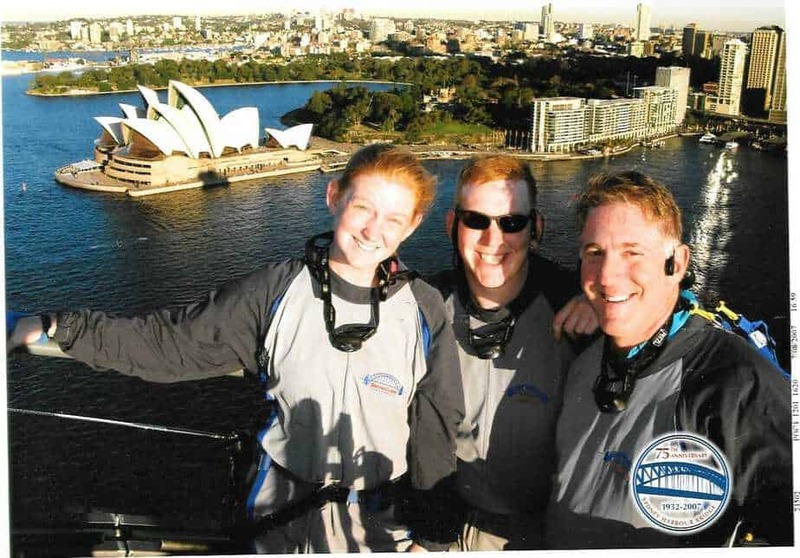 We did the bridge climb in Sydney Harbour. 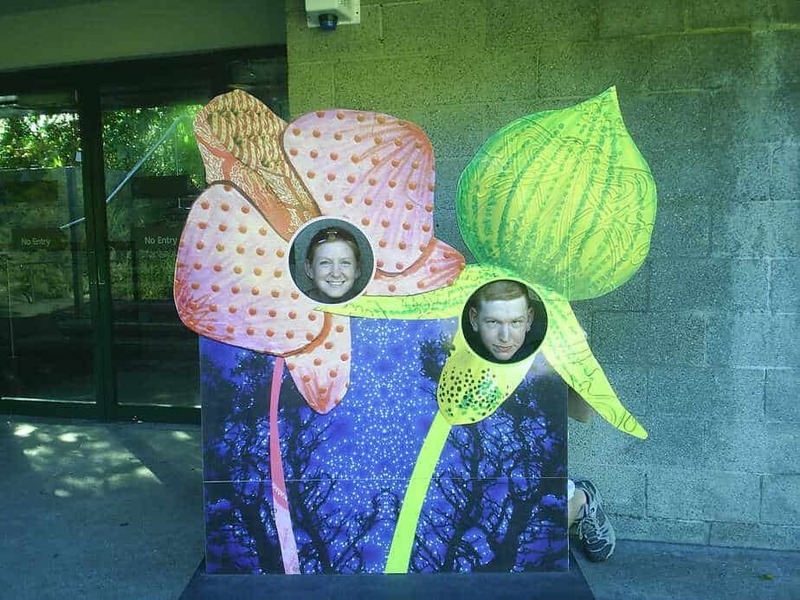 My brother and I at the Sydney Botanical Gardens. The Sounds of Silence Dinner was a major highlight for me. There is an astronomer who gives a presentation with a laser pointer to show you the southern constellations. 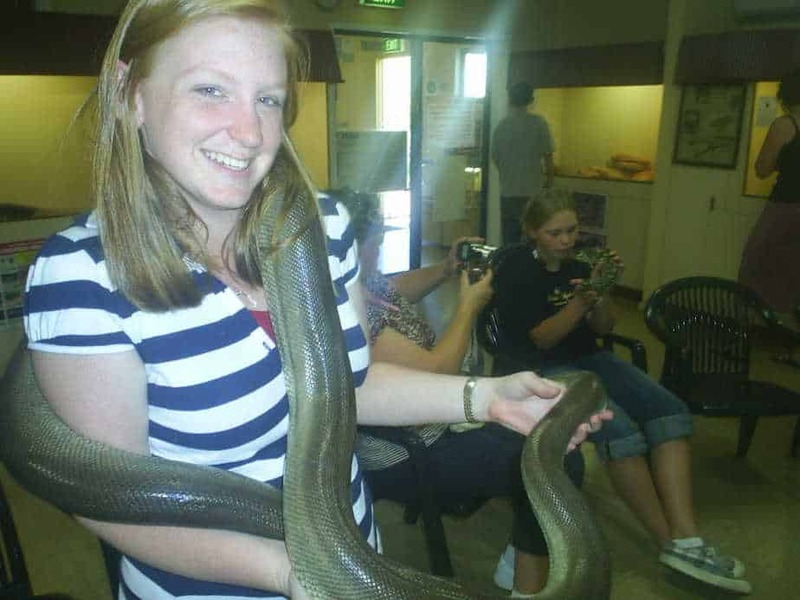 This is on our must-do list for this visit. Holding a snake at the Reptile Center in Alice Springs. I look thrilled. 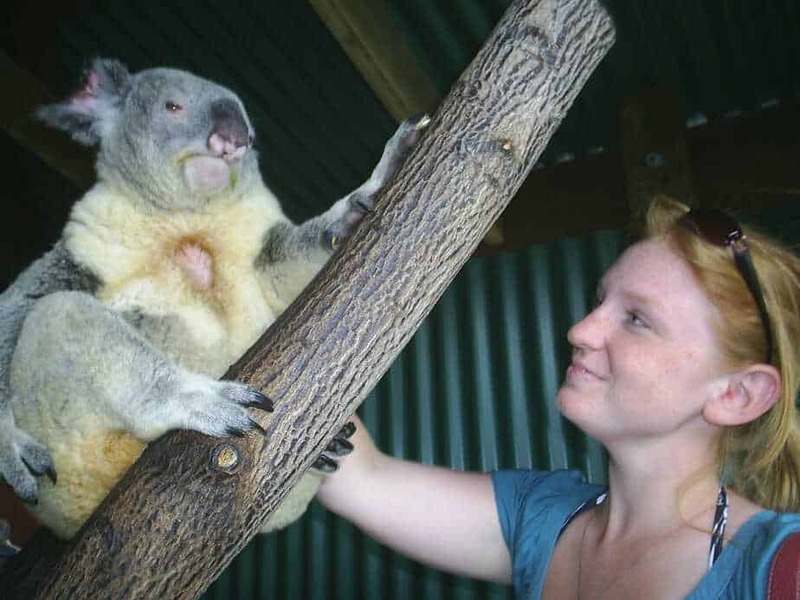 Meeting koalas at the Wildlife Habitat in Port Douglas. 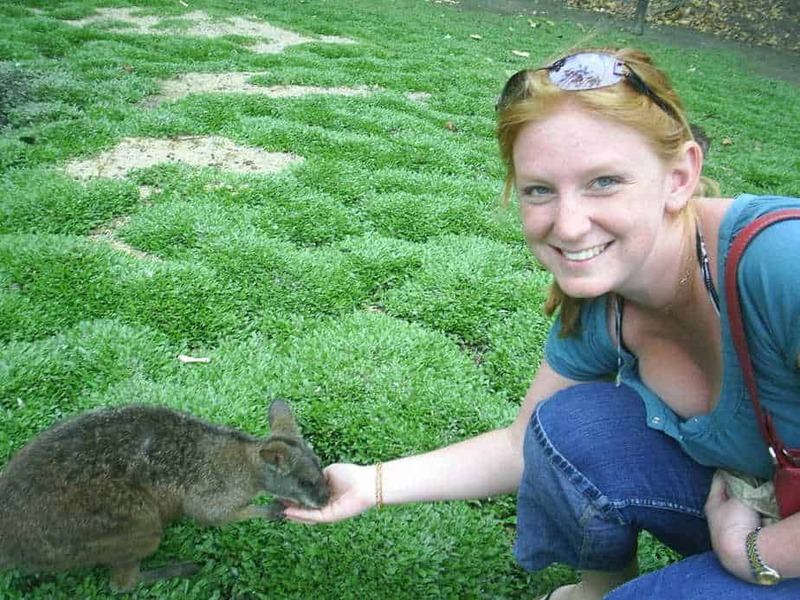 Feeding a wallaby in Port Douglas. 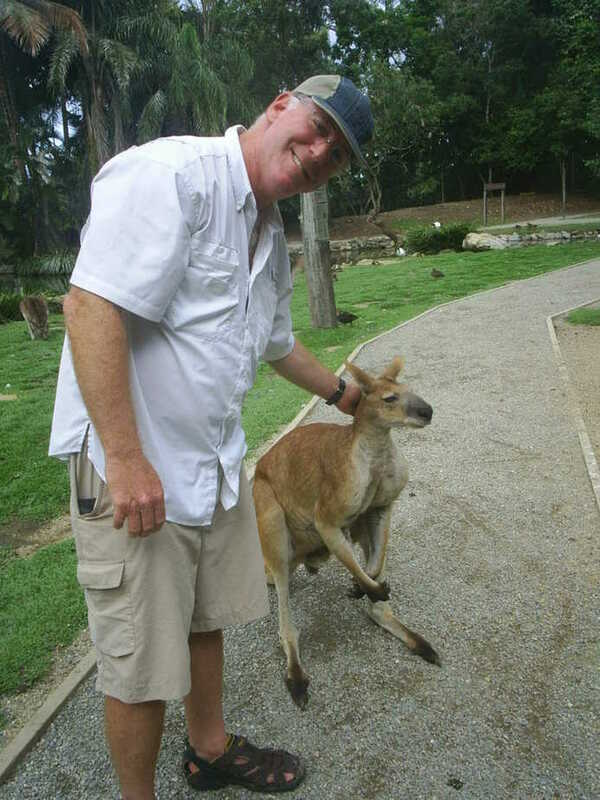 Dad petting a bull kangaroo. 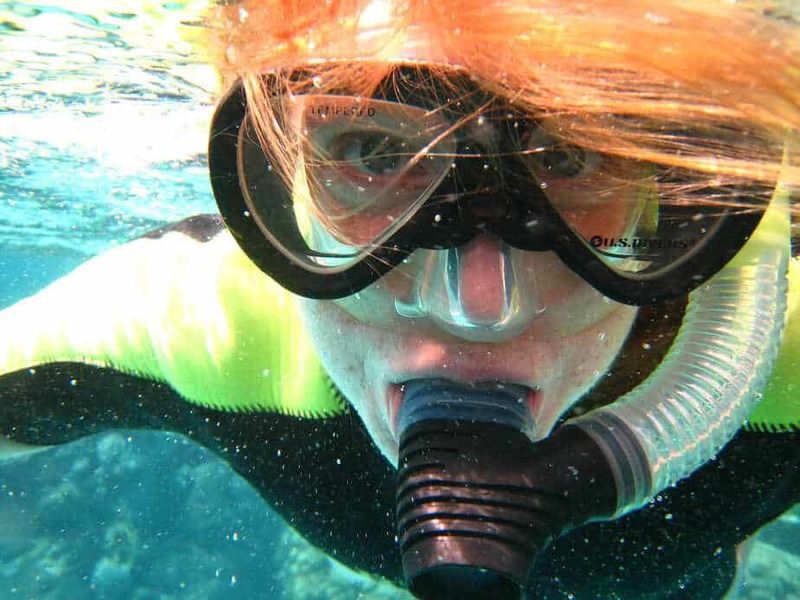 Snorkeling the Great Barrier Reef. 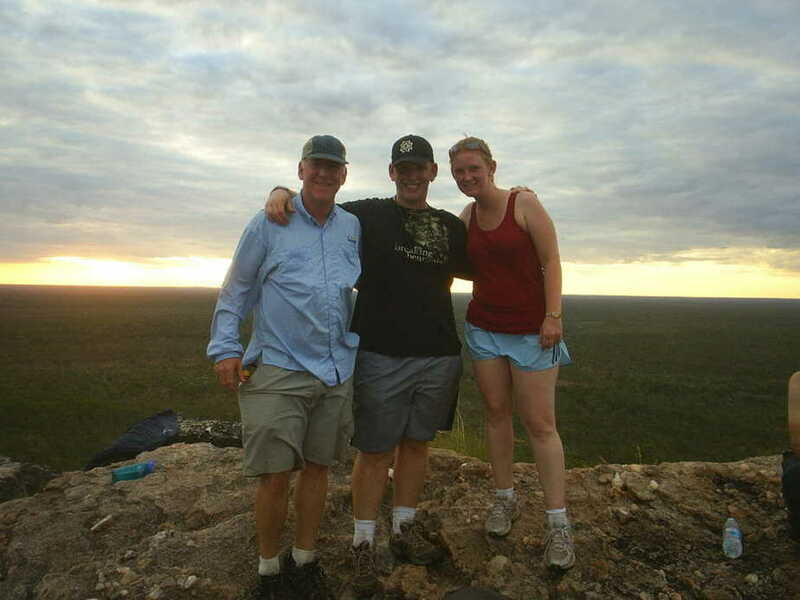 We camped for three days in Kakadu National Park outside of Darwin. 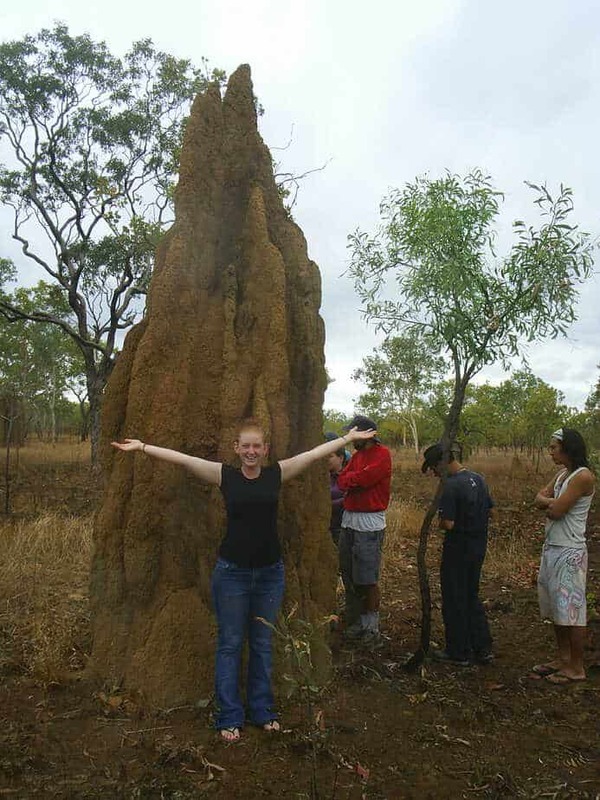 Me and a massive termite mound in Kakadu National Park. 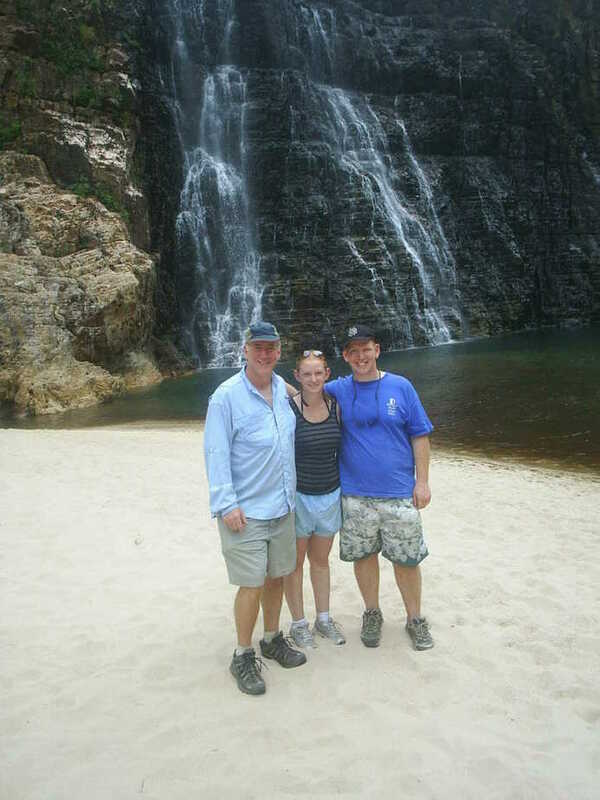 A solid hike is finished at a beautiful waterfall in Kakadu National Park. So glad you have those memories and pictures from the trip. 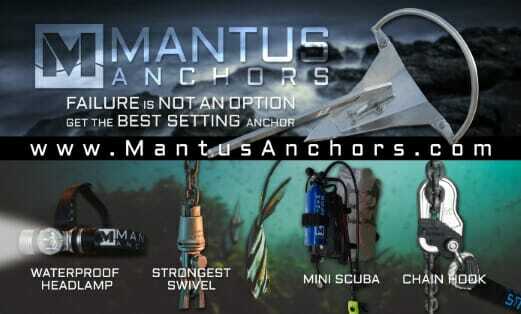 You were one lucky kid! Me too! I still am one lucky kid! Especially to have you Mom.